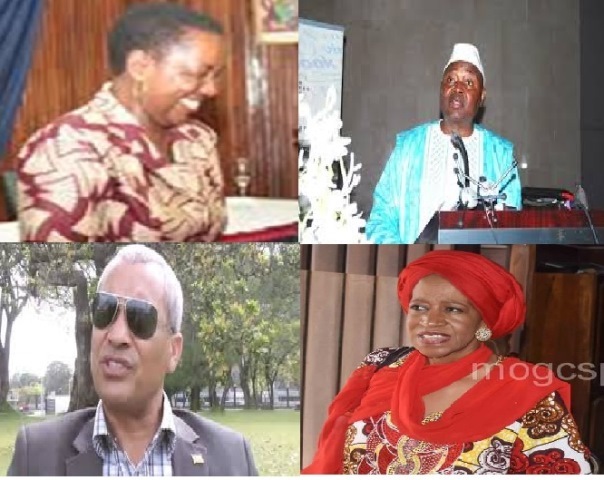 The Ministry of Foreign Affairs has permanently recalled five ambassadors from diplomatic missions, as modalities to facilitate their repatriation gets underway, Assistant Foreign Minister for Public Affairs, Sylvester Pewee, has disclosed. President George Weah recently instructed Foreign Minister Gbehzohngar Milton Findley to duly communicate with Ambassadors Vivian Wreh, Al Hassan Conteh, Genevieve Kennedy, ex-senator John Ballout, and Dr. Bramah Kaba once accredited to Guinea, Nigeria, Ghana, Qatar, and Saudi Arabia respectively, about the termination of their services. The Foreign Ministry is said to be working on the necessary processes intended to facilitate the repatriation of those diplomats and their families as required. The permanent recall means that the diplomats will not be reassigned or rotated upon coming back to base, unless otherwise decided by President Weah who is the chief architect of the Foreign Policy of the Republic. Liberia currently has 26 active missions across the world, and is expanding ties with a few other nations of sisterly relationship, including the Democratic Republic of Congo and Senegal, to establish and upgrade missions in those countries. But Pewee said such a move, and any ambition to extend missions to other countries will require funding to maintain them, and the government is taking that into consideration in what it does in this regard. President Weah reserves the constitutional right not only to appoint ambassadors, but also recall them for investigative, consultative, or permanent reason. And like other presidential appointees in government, Article 54 of the 1986 Constitution of Liberia gives the President the authority to appoint ambassadors, while Article 56 indicates that such officials shall hold their offices at the pleasure of the President. “We do not want people to politicize this process of recalling those diplomats because it is a regular process and we should allow it to unfold. In the Foreign Service, as we post and we recall,” Minister Pewee told the Liberia News Agency. “These are career diplomats who served their country for many years, and we all should wish them well in whatsoever endeavor they are going to undertake, moving forward,” he added. “We should congratulate them on their recall as President Weah has already done,” he noted. Pending appointments or posting of new ambassadors, the assistant minister said that there are effective structures put in place at the different foreign missions under which a next-in-line staff can take charge. The Weah-led government continues to explore economic diplomacy, which is drawing more partners to Liberia to the benefit of the nation and its population in the spirit of the national development framework, the Pro-poor Agenda for Prosperity and Development (PAPD). He pointed to the recent US$.2.7 million grant provided by the Japanese to help upgrade the health sector, as well as the 22-man high-power delegation from the United Arab Emirates that visited the country to assess investment possibilities in various sectors, including agriculture, health, energy, education, infrastructure, and micro, small, and medium enterprises (MSMEs). On the question of welfare at Liberia’s various diplomatic missions, Min. Pewee said that Foreign Minister Findley is consulting with President Weah for the resolution of the “very serious” challenges that the administration inherited in the Foreign Service. The assistant minister told LINA that there is a restructuring mechanism ongoing, which looks to a policy prescription that basically seeks to ensure that diplomatic staffs are covered by an insurance scheme, and that there’s increment in salaries which, according to him, is well on course.